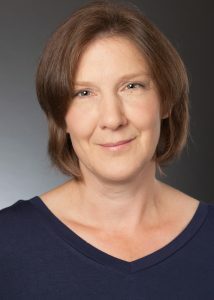 Welcome to Roz Watkins, author of The Devil’s Dice. This had a huge influence on me as a child. I can still remember my horror at the “bearing rein” that made animals suffer so much just for human vanity. This and The Plague Dogs started me thinking about animal rights and I never really stopped. I love it when a book can raise an issue without it detracting from the reader’s enjoyment. 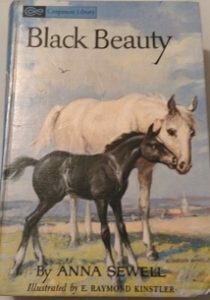 This book prompted real changes in the way horses were treated, as well as being a damn good story. Yes, I was a strange child. I came upon this tome when browsing in a bookshop aged 8. My parents were a little surprised as I mainly read Enid Blyton at that age, but they bought if for me anyway. It’s probably horribly offensive to modern eyes, but I was fascinated. I remember being particularly moved by the tale of poor Edward Mordake who had an extra face on the back of his head that used to whisper terrible things to him at night. I suspect that case was an early urban legend, but it had a profound effect on me! Such a strange and brilliant book. 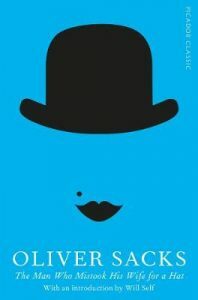 Funny and shocking, with the message that you can do anything with your life if you put your mind to it. Ruth starts off pathetic and downtrodden, but becomes the ultimate unlikeable heroine. She lets the hamster burn, for God’s sake, which hit me much harder than her abandoning her children, but that was also shocking, especially given that this was the 1980s. I do love a good revenge tale. 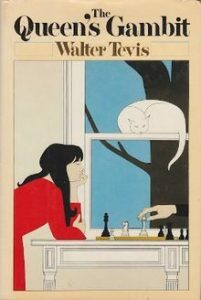 This one’s about chess, which doesn’t sound exciting, but the main character is so compelling you can’t help but get drawn in, and find yourself poring over incomprehensible chess moves as if your life depended on them. I love stories about people who are brilliant at something, who become obsessed by that thing. 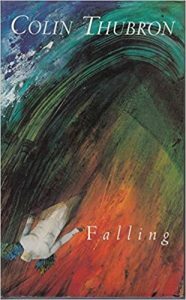 I found myself completely immersed in the story when I read it as a teenager and again when I re-read it recently. I was always going to be a feminist of course, but this book kicked me firmly in that direction at a young age. 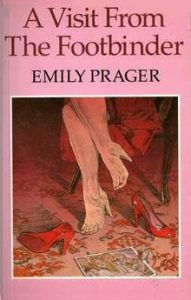 It started me on a wave of reading feminist books and helped me avoid diets and high heels in my formative years. I found it funny and shocking at times, but always gripping. My fictional detective is a fan of this one too! I read this when it first came out and loved it so much. Twin boys with an IQ of 40 who can reel off ten-digit prime numbers, a man who thinks his leg doesn’t belong to him, a man who genuinely did mistake his wife for a hat – what’s not to like? And he wrote so beautifully. Thank you Emily Prager for ruining my holiday the year I took this away with me. I knew about foot-binding of course, but in a vague kind of way. I hadn’t realised they actually smashed children’s toes and bent them back underneath the foot. This horrifying story made it so real I couldn’t stop thinking about it for weeks. I admire writing that can do that! Short and perfect, with deep issues at its heart that I address in my first book. 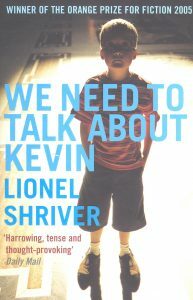 I love all Lionel Shriver’s books but I like this one best, closely followed by So Much for That. She says the things we think but rarely speak. Eva is supposedly unlikeable but I didn’t find her so. I have friends who felt ambivalent about children much less monstrous than Kevin, but it’s still unusual to hear those feelings shared publicly. The book is also brilliantly plotted and beautifully written. 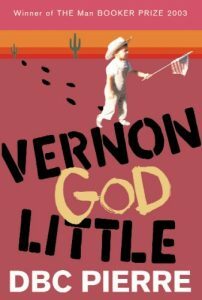 This one’s all about the voice – mainly Vernon’s wry observations on the characters in his small-town Texas neighbourhood. My first drafts tend to be about plot and they lack the character observations that make me love a book. I find that “voicey” books like this one get me in the mood to find my own characters’ voices more easily. And it’s hilarious too. 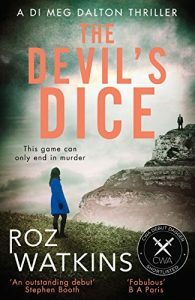 Roz’s debut novel, The Devil’s Dice, will be published by HQ (HarperCollins) on 8th March 2018.